A heart-warming picture book told from the perspective of a dog about two best friends—a dog and a boy. 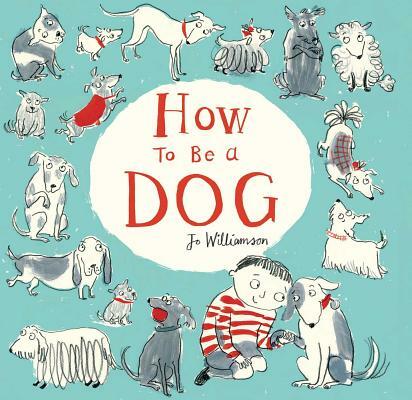 Do you want to learn how to be the best dog you can be? Just follow the steps in this book! After choosing a human to live with, learn where you should sleep (everywhere), who you should be friendly with and who to bark at, how to keep the floor clean of any food, how to play fetch, and more! Before you know it you’ll be having lots of fun . . . and your human may even become your best friend. Told from the perspective of one clever dog, this humorous story perfectly showcases the special relationship between a dog and his human. Jo Williamson has worked for many years as a fashion designer for large retailers, but studying Children’s Book Illustration at Cambridge School of Art has enabled her to fulfill her dream of being an illustrator. Although she still works part-time in fashion, Jo now spends as much time as she can drawing and creating characters in her irresistibly jam-packed sketchbooks. Jo lives with her husband in England and is currently campaigning for a dog of her own.